Comedian Cedric the Entertainer will be at the StarDome Comedy Club this weekend. BARNES & ASSOCIATES REALTORS GRAND OPENING AND OPEN HOUSE, 4 – 7 p.n. at 4322 Third Avenue South. A TASTE OF CULINARD, 2:30 p.m. at the Virginia College in the Palisades. Join the Celebration for Dr. Mark Maldia’s OPEN HOUSE, 4:30 – 6:30 p.m. with the Ribbon Cutting at 5 p.m. for the New Location of Dr. Mark Maldia Office, 3300 Cahaba Road, Suite 202, Shades Brook Building. AJJ “PEOPLE WHO CAN EAT PEOPLE ARE THE LUCKIEST PEOPLE IN THE WORLD” 10 Year Anniversary Tour at Saturn. JUDE, THE RANSOM BAND and WILL STEWART at the Nick. POSITIVELY FUNNY IMPROV, 7 p.m. at the StarDome Comedy Club. GARY GUSICK is Guest Speaker at the AAF November meeting at the Vestavia Hills Library, 11:30 a.m.
NATIONAL TAKE A HIKE DAY, All Day for all ages. PINK TALKING FISH LIVE, 7:30 p.m. at Old Car Heaven. TIM SPINOSI’s Colossal Comedy Side Show, 7:30 p.m.
SHAUN JONES at the StarDome Comedy Club. LEE BAINS III & THE GLORY FIRES (Friday and Saturday nights) at the Nick. SUSTO, THE POLLEN and DAWG YAWP at Saturn. GREENLIGHT BAND at FRIDAY UNWIND, 6 p.m. – midnight, at Jazzi’s on 3rd. 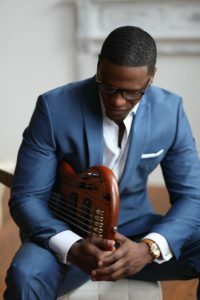 JULIAN VAUGHN, 7 p.m. at Perfect Note. MUSIC AND MORE at VIP Lounge in Ensley. BIRMINGHAM BULLS MILITARY APPRECIATION TV Commercial starts. Check it out here. COLLEGE FOOTBALL SATURDAY at Iron City, 6 p.m.
COMEDIAN CEDRIC THE ENTERTAINER at the StarDome Comedy Club. MZ DRUMMER, 7 p.m. at the Perfect Note. HISS GOLDEN MESSENGER at Saturn. SLOW ART SUNDAY – CUPID AND GAZELLE, 2 p.m. at the Birmingham Museum of Art. JOHNNIE & THE JAMMERS at Carmichael’s, 8 p.m. located at the Old Maxway building off Bankhead Highway behind the Pilot Truck Stop. THE DARTS, ESCOBAR and THEE CROWN IMPS, 9 p.m. at the Nick. COMEDIAN ROY WOOD, JR. at the StarDome Comedy Club. JOSE CARR at the Boss Lounge, 8:30 – 11 p.m.
COMEDIAN BECAUSE I SAID SO at the StarDome Comedy Club. CADDLE, ALABAMA ROSE, and FIVE SHOT JACK at the Nick. EIGHT YEARS OF HIP HOP: LOBOTOMIX ANNIVERSARY SHOW at Saturn. THANKSGIVING JAM w/ A.J. BEAVERS BAND at the Nick. BECAUSE I SAID SO at the StarDome Comedy Club. TAYLOR HUNNICUTT & CO., WINSTON RAMBLE, KYLE KIMBRELL BAND and RYAN SOBB at the Nick. A TASTE OF CULINARD – A Taste of Culinard, today, 2:30 p.m. at the campus located at 488 Palisades Blvd. The community is invited to experience Thanksgiving cooking demonstrations and sample delicious holiday dishes prepared by students and instructors from Culinard, the Culinary Institute of Virginia College. The event will also feature a food drive benefiting a local food pantry as well as prize drawings for which guests over the age of 18 can enter to win prizes such as a HoneyBaked Ham gift card. Guests interested in attending the event can RSVP here. CELEBRATE BARNES & ASSOCIATES GRAND OPENING, 4 p.m. at 4322 Third Avenue South. Abra Barnes and her father Anthony Barnes who is no longer with us have worked to make this company one of the top in the State of Alabama and the southeast. For 28 years Barnes & Associates, REALTORS has proudly served the residents of The Beautiful City of Birmingham and Surrounding Areas. Abra quoted the old quote, “Your life does not get better by chance, it gets better by CHANGE.” Thus, at Barnes & Associates, REALTORS she is happy to announce that they are making a lot of changes! Join Abra and staff for an Open House as they celebrate the New Location, New Services & New Faces! They look forward to seeing you and serving you in the near future. The Building Blessing will start promptly at 6 p.m. There will be food, music, giveaways, vendors & much more!! DAWG YAWP at Saturn Friday – Dawg Yawp is a two piece band that combine sitar, vintage synths, blown out guitars, and samples to make totally unique pop music. Earlier this year they released their debut, self-titled LP on Old Flame Records. PINK TALKING FISH at Old Car Heaven, 7:30 p.m. Friday – Pink Talking Fish is a Hybrid Tribute Fusion Act that takes the music from three of the world’s most beloved bands and creates a special treat for fans of the music. Pink Floyd, The Talking Heads and Phish are all more than just bands… they are a phenomenon. Their creations have artistically inspired people and their mind-blowing live performances have brought people together to form a special sense of community around the love for their favorite band. Although the music from each act is different, Pink Talking Fish has discovered that fusing the material together creates an amazing story. The epic emotion of Pink Floyd…. The funky, danceable layerings of The Talking Heads…. The multitude of styles, unique compositional structures and pure fun of Phish…. to merge these three into one gives music lovers a special experience. Pink Talking Fish features Eric Gould on bass, Richard James on keyboards, Zack Burwick on drums and Dave Brunyak on guitar. This is a band created by musicians who love the music of these acts. Its purpose is to heighten people’s passion for this music by creating something fresh and exciting for fans. LIVE BAND and KARAOKE, 8-11 p.m., tonight, at the Perfect Note. JAZZ JAM SESSIONS, every Fourth Sunday, 6 p.m. at the Alabama Jazz Hall of Fame (Carver Theatre), except for Christmas. ALABAMA SYMPHONY YOUTH ORCHESTRA‘S FALL CONCERT, 2 p.m. at the Alys Stephens Performing Arts Center. FREE. DETAILS: The Deadening Trail is among the most scenic and diverse hiking trails in Alabama. The cliffs of the Tallapoosa, the Needles Eye, and Lichen and Jasmine Bluffs are just a few of the unusual and unique rock formations that await the hiker. The trails are routed through a variety of flora and fauna. There are high rocky ridges with mountain longleaf pine, mountain laurel, low and high bush blueberry, and lush hardwood forests that include redbud, sourwood, dogwood, native azalea, umbrella and bigleaf magnolia. Large thickets of Catawba Rhododendron are numerous. Deer, turkey and numerous bird species, including bald eagles, can be seen along the trail. The Deadening Trail is a moderately strenuous 3.6 mile loop trail at Lake Martin. The trail is a more challenging footpath than other trails located along an area of the southeast shore of beautiful Lake Martin (a 40,000-acre, 700-mile-shoreline lake) in Tallapoosa County, Alabama. Bring plenty of water with you. Optional dinner after. Depart 9 a.m. from the parking lot of the Publix in the Village at Lee Branch in Greystone. Info: Dan Frederick, seoutings@bellsouth.net or (205) 631-4680. SUNDAY, 1:30 p.m. – Southeastern Outings Dayhike at Cahaba Environmental Center at Living River, Shelby-Bibb County line near Boothton and Marvel. DETAILS: Living River, a nonprofit affiliated with the Presbytery of Sheppards and Lapsley, has developed a camp and environmental center on the Cahaba River. 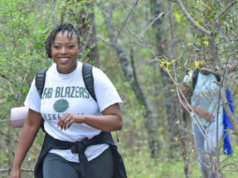 The hike will be led by a staff member of the Cahaba Environmental Center at Living River. The approximately 3-mile hike is rated moderate. Living River, a tree-covered point nestled in a deep bend in the Cahaba River, preserves a mix of hardwoods and older trees that were once typical of Alabama’s river bottoms but elsewhere have been logged and replaced with faster-growing pines. The site is 440 acres in size, and because of its unique location, it fronts four miles of the river. The Cahaba River itself – the longest free-flowing river in Alabama – preserves a remarkable and fragile biodiversity, including an incredible variety of freshwater mussels, turtles, snails, and crayfish, as well as more fish species per mile than any other river in North America. The globally significant biodiversity of the Cahaba has been widely recognized by conservation groups and scientists. In this significant and beautiful place, the Presbyterian Church organization has built Living River, a retreat where young people will continue to discover the awakening power of an outdoor camping experience and where adults, families, and children can also step away from the demands of their everyday lives. During this hike, we will explore the variety of ecosystems on the Living River property. We will start with a trip out on the ‘thumb,’ the deep horseshoe bend of the Cahaba River, and then head out to more impacted forest ecosystems, including reclaimed mining sites. We will have the opportunity to learn about the natural and cultural history of the area. Our outing may conclude on top of a giant mine spoil where Pennsylvania period plant fossils can be found at every step. Supervised children age 7 and older able to walk about 3 miles without complaining are welcome on this hike. 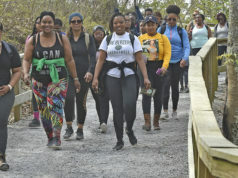 Bring $2 per person EXACT CHANGE Living River fee to participate in this hike. Depart at 1:30 p.m. from McDonald’s Galleria. Info: Dan Frederick, seoutings@bellsouth.net or (205) 631-4680. “Comic View”. He also made a cameo appearance in the 1994 blockbuster hit film “Ace Ventura II When Nature Calls” with critically acclaimed actor Jim Carey. In the autumn of 2003, he will be seen in the motion picture film called “Shade” as the crooked poker player “Mr. Ose” starring Sylvester Stalone and Jamie Foxx. 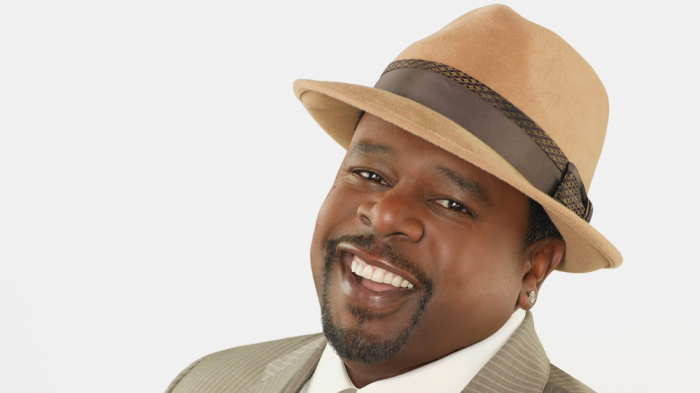 THIS WEEKEND: COMEDIAN CEDRIC THE ENTERTAINER. Cedric “The Entertainer” is best known for his crowd-pleasing roles in the recent hit films BARBERSHOP with Ice Cube, BE COOL with John Travolta, MADAGASCAR (animated feature), INTOLERABLE CRUELTY with George Clooney, and THE ORIGINAL KINGS OF COMEDY, MTV’S documentary feature directed by Spike Lee. Additionally, in April 2004, Cedric was star and producer of the box office hit JOHNSON FAMILY VACATION (ranked the #1 comedy in America for two consecutive weeks). 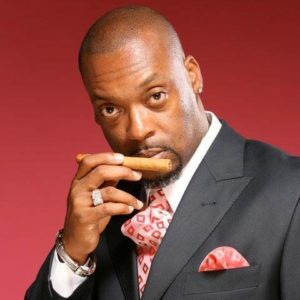 Ced’s unique style of humor is appealing to a wide variety of audiences. He specializes in reminiscing about the “good-ole” days. It is the “homemade” brand of humor which has led to the numerous television and film appearances. SLOW ART SUNDAY, 2-3 p.m. FREE! BIENNALE ARTE 2017, VIVA ARTE VIVA will open to the public now The Sunday after Thanksgiving at the Biennale di Venezia, titled Viva Arte Viva, curated by Christine Macel. JELILI ATIKU is a Nigerian visual artist, whose body of works strictly focuses on commitment to social, humanism and the crimes being committed against human life. ACT PREP CLASSES, TUTORING WORKSHOPS AND MORE – Birmingham Public Library’s 19 locations will provide free programs and services and is a place to check out books and DVDs. The Smithfield Branch Library’s free ACT Prep classes and tutoring services for teens – offered weekly on Tuesdays, Thursdays, and Saturdays – is a prime example. If you have a teen in need of improving their ACT and other test scores there are free workshops at Smithfield Library, #1 8th Ave West. See details below: Prep for Success!, today, 3:30–5:30 p.m. and Saturday, 9 a.m.-1 p.m. and 2-6 p.m. Take advantage of these free with BPL’s free database, Learning Express Library, which offers practice sessions for the ACT. These sessions are meant to help with the four required sections of the ACT—English, Math, Reading, and Science. Advance registration is required. Register online through the Birmingham Public Library events calendar, or call the Smithfield Library at 205-324-8428. NEW HOURS FOR NEIGHBORHOOD PUBLIC LIBRARIES – Birmingham Public Library System’s neighborhood libraries will begin their winter hours operating schedule. BPL’s neighborhood libraries are East Ensley, Ensley, Inglenook, North Avondale, Powderly, Woodlawn, and Wylam. The hours of operation will be Monday, Tuesday, Thursday and Friday from 8 a.m. until 12 p.m., and from 1 p.m. until 5 p.m. On Wednesdays, the libraries operate from 1 p.m. until 5 p.m. These locations are closed on weekends. The neighborhood libraries will maintain this temporary schedule through early March 2018 when time springs forward. Hours for all other libraries within the Birmingham system will not change. Addresses of the neighborhood libraries are East Ensley, 900 14th St., Ensley; Ensley, 1201 25th St., Ensley; Inglenook, 4100 40th North Terrace; North Avondale, 501 43rd St. N.; Powderly, 3301 Jefferson Ave. SW.; Woodlawn, 5709 First Ave. N.; Wylam, 4300 Seventh Ave., Wylam. NEW AGE ONLINE APPLICATION PROCESS, (November 20) will provide some key tips and suggestions for all job-seekers to guide you to successfully completing your job applications. INTERVIEW BOOTCAMP (November 20) is designed to enhance techniques for building rapport to emphasize one’s skills and overcome objections that will motivate the interviewer to hire you. WE COMMUNITY CAFÉ two Days of Service, 11 a.m. – 1:30 p.m. Wednesdays and Thursdays. WE Community Café at Urban Ministry launched a second day of opening beginning this month from 11 a.m. -1:30 p.m. The pay-as-you can WE Community Café will now be open Wednesdays and Thursdays each week serving up the best in delicious and healthy food with a flare to the community. Located at 1229 Cotton Avenue SW. Support the Community. 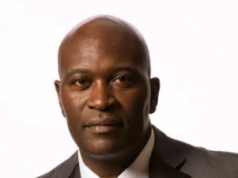 ‘WE READY’ A DOCUMENTARY – A HBCU Story, WE READY, is about Miles College and the Purple Marching Machine (PMM) Special Presentation directed by Drae Jackson. The movie is focused on the art of marching bands and is entitled ‘WE READY.’ COMING SOON JANUARY 14! NOVEMBER 28 – MAYOR-ELECT RANDALL WOODFIN’S INAUGURATION: SWEARING-IN CEREMONY, Noon, at Linn Park. DECEMBER 1 – KEYSHIA COLE LIVE at the Lux Ultra Lounge.